So I purchased Bumble & Bumble Surf Spray for my beach holiday. I was really excited to use it, as my hair is naturally really thick and big it tends to stay in any position I style it. Bumble & Bumble Surf Spray claims to be salt water spray for your hair... you know, once you have had a dip in the sea and it dries naturally... beautiful right? The spray smells almost salty but not, it has a 'summer fragrance' to it... fresh, cool and airy. It comes in a handy spray nozzle. This is a picture of my hair after washing it and spraying the Bumble & Bumble Surf spray on afterwards. It was 80% wet here, I LOVED the look it gave my hair for about 2 hours....... then my hair started to dry naturally. It really made my hair BIG but not in a pretty way or how my hair would naturally dry without the spray. It was full on volume and thick and made my hair feel really really dry. Sadly, I didn't take a picture of the end result. I don't think I would repurchase Bumble & Bumble Surf Spray again for my really thick hair, but I imagine it would give beautiful results for those who have fine hair or for those who are looking for extra volume. 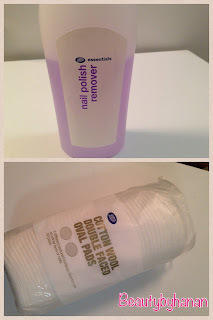 I will however try over products in their range as i have heard so much about them, they must be good! You can purchase Bumble & Bumble Surf Spray from Boots here for £21.50. 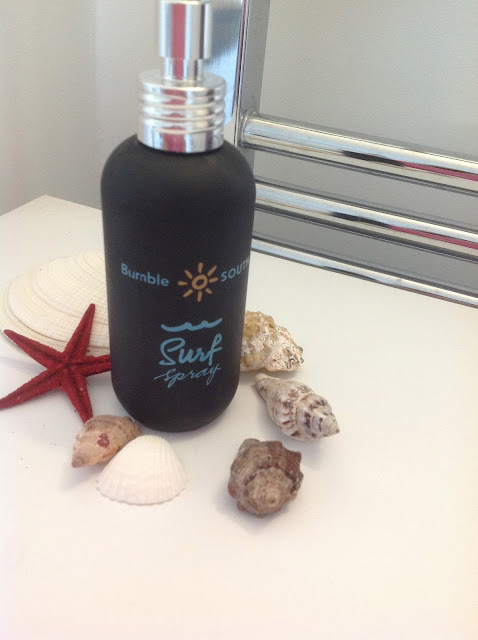 Have you used Bumble & Bumble Surf Spray? I hope you are all well. As some of you may know, I went away for a couple of days. After umming and arrring, between going to Morocco or Isle of wight, the latter won. 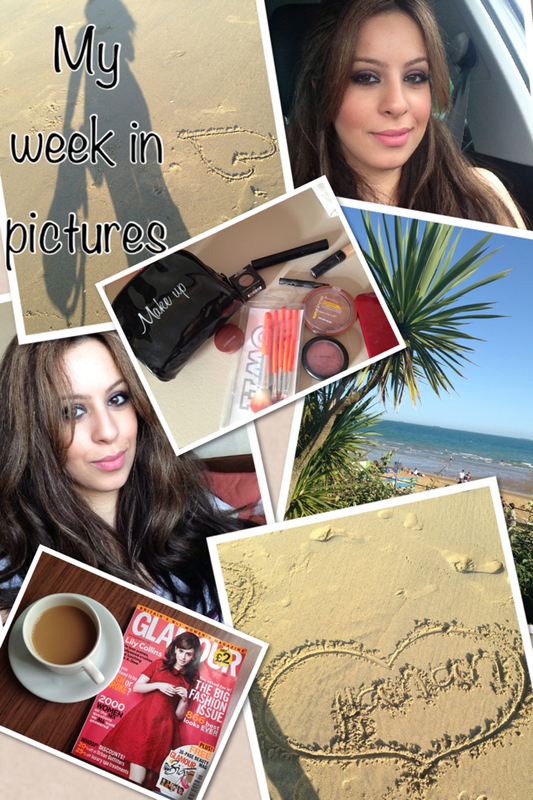 It was lovely to get away from it all and the weather turned out fantastic! My days were spent lazying around the pool, sunbathing, walks on the beach and eating! 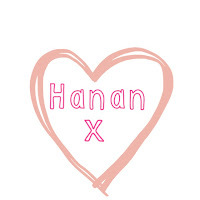 I couldn't update my Twitter as promised as the reception was really poor.... to be honest it felt good to be a little bit disconnected from the world. Now going back to the purpose of this post..... Clinique's Overnight Mask!! Since the weather is predicted to be HOT no doubt we will all be lapping up the sun, with sunscreen on of course, so why not treat your skin to an extra bit of TLC at night? 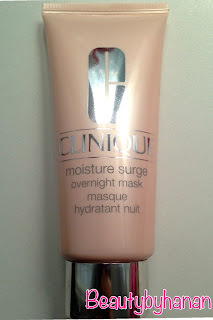 Here's my count of using the Clinique Overnight mask. So when we sleep our body is more relaxed, allowing our to skin to repair quicker so I thought, why not help my skin repair with a moisture mask. As it is left on longer it would reach more layers of my skin (epidermis, dermis and hypodermis) meaning I would see more of a result?? When I woke in the morning I was surprised to find a thin film of the mask still on my face, my initial thoughts were that it didn't work and that it just sat on the top layer of my skin all night (pretty pointless right?)..... but low and behold when I went to do my morning cleanse my skin felt like a baby's bottom!! Yes that's right luscious, supple, smooth and dewy it remained like that for the rest of the day, perfect!! 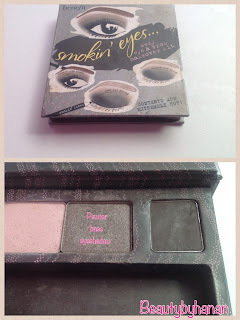 So will I repurchase? YES but since I've opened the door to this whole overnight mask ritual, I will probably be experimenting with a fair few others to see how they feel on my skin. I can imagine this mask would work wonders if you have dry skin, those who live in hot dry climates where a lot of air conditioning is used and would be soothing in the winter months when we suffer from dry skin from all the cold weather. 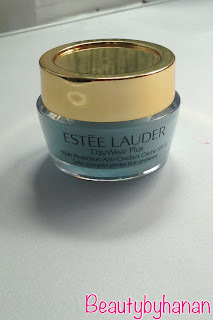 Do you use an Over night mask? How I got this Nail look using L'OREAL nail polish. 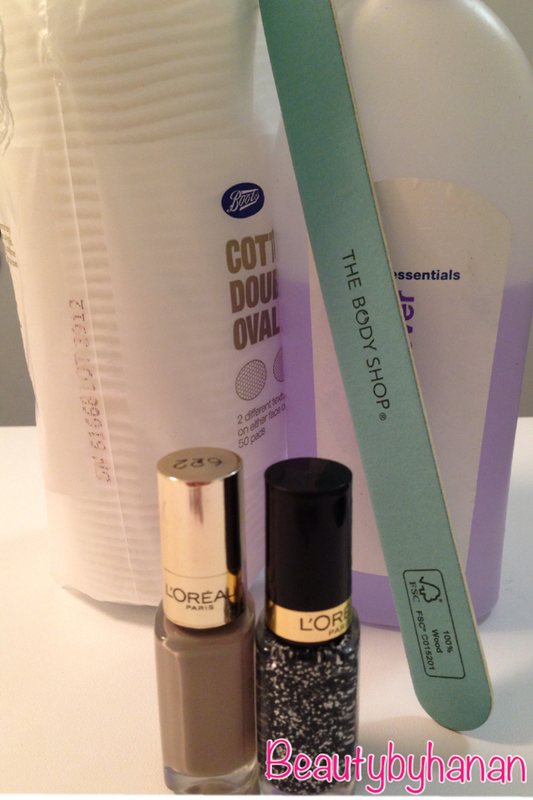 Hope you are doing well, I passed by boots today and couldn't resist this nail polish combo I saw from L'OREAL, I had to get it! 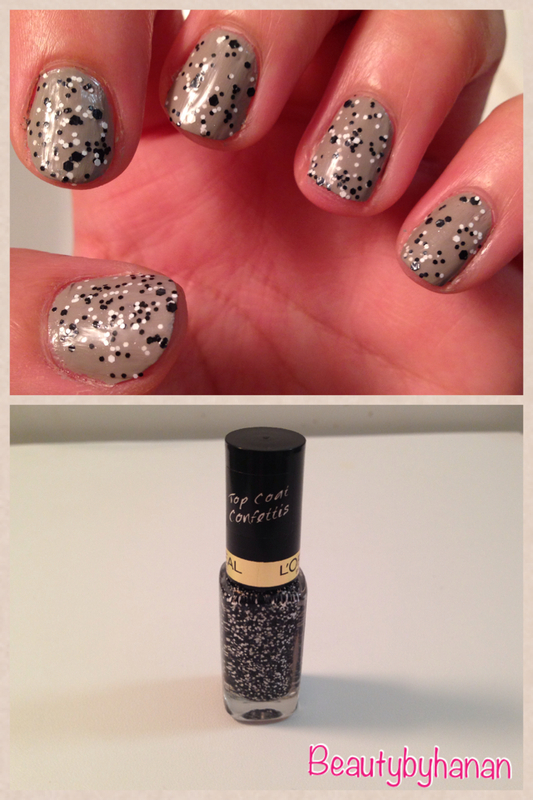 Now that I have the main Top coat Confettis, I can dress up any of my nail polishes. 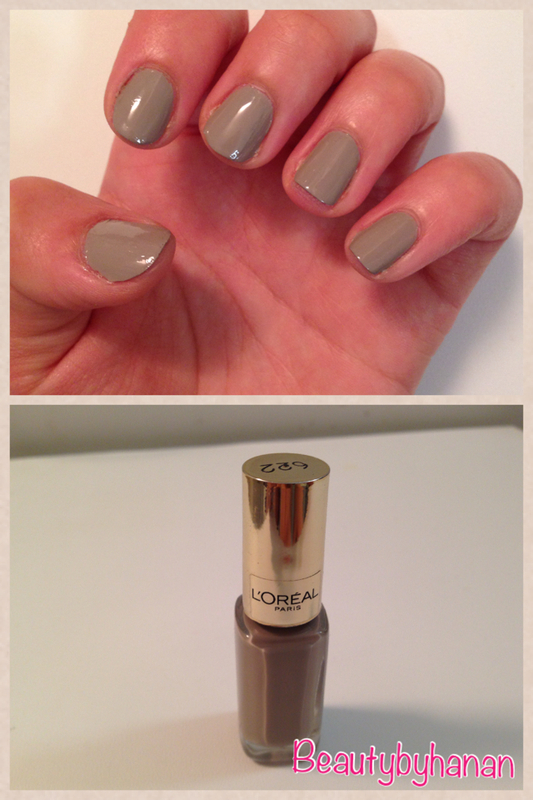 I saw the nail polish Chinchilla which is a beige, grey like tone also by L'OREAL. The two colours definitely compliment each other. File and shape your nails. 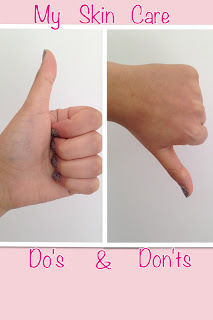 I was taught never to 'saw' (back and forth motion) my nails as this can weaken the nail bed, instead file from corner to centre on the left side and repeat on the right side as shown in the picture below. 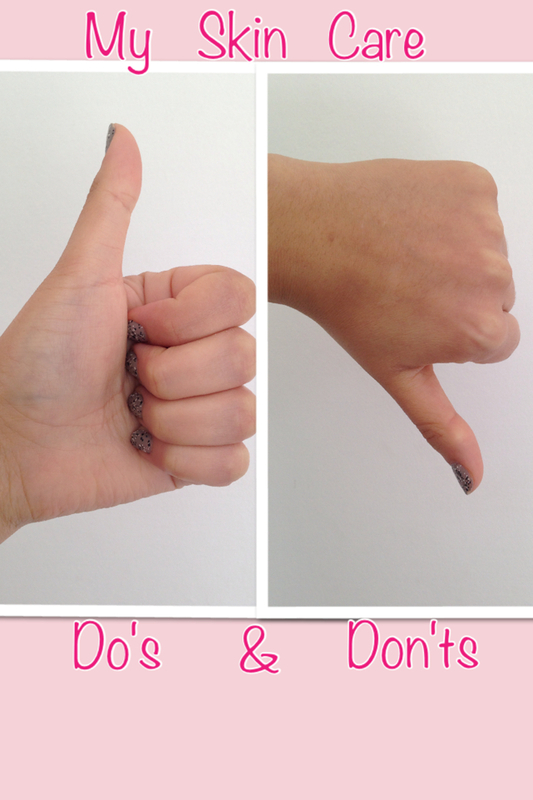 Using any nail polish and cotton wool, wipe over your nail to remove any dust from the nail filing and any natural oils on your nails, as this will dry the nail and allow the nail polish to adhere properly. Now normally I would use a base coat, but the base coat I currently have is making my nail polish peel, so I haven't demonstrated it. 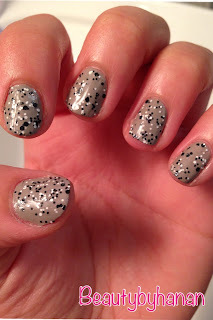 After applying your base coat apply the Chinchilla nail polish. The brush allowed easy application as it seemed like a wider flat brush and went on really well. I used two coats. 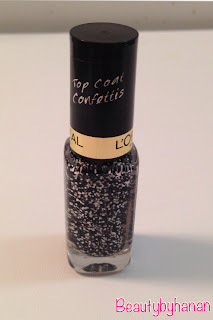 Lastly apply one coat (or as many as you like) of the Top coat confettis, and you're done! 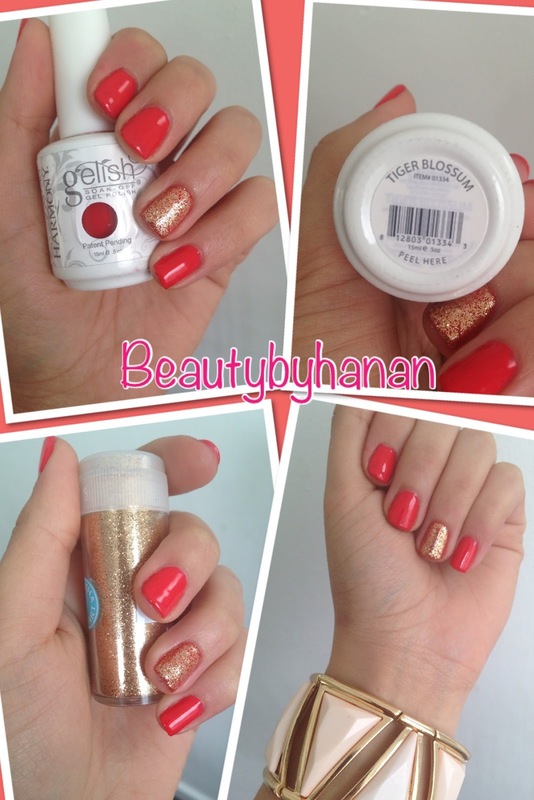 I think I'm definitely going to enjoy playing with other colours and the Confetti Top Coat. Do you have Top Coat Cofettis? How do you use yours? 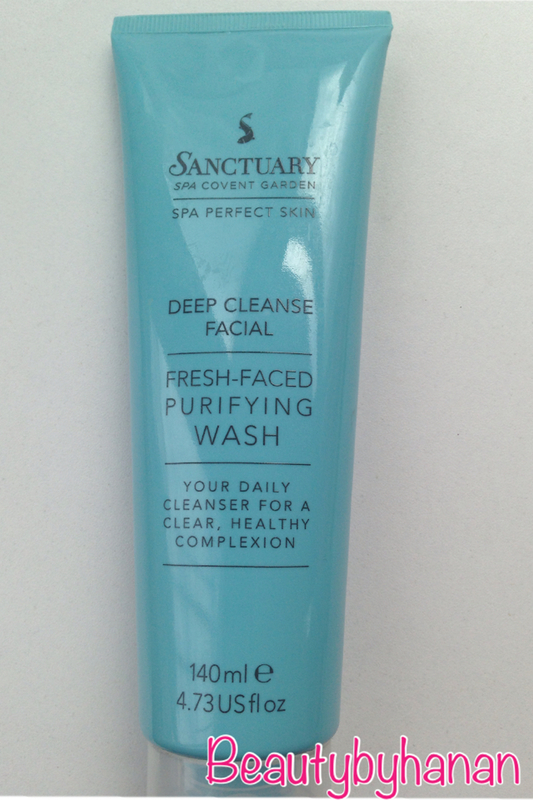 To start off I use the Sanctuary Deep cleaning facial. 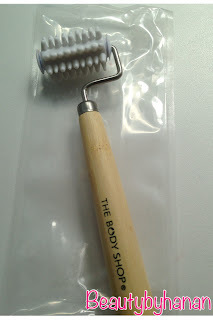 Its a facial cleanser, I was attracted to the packaging and its clean writing. Its pureness looked back at me from the shelf. 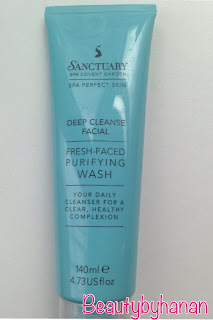 I have found this to be a great cleanser, it removes all traces of my make-up and my face feels squeaky clean! 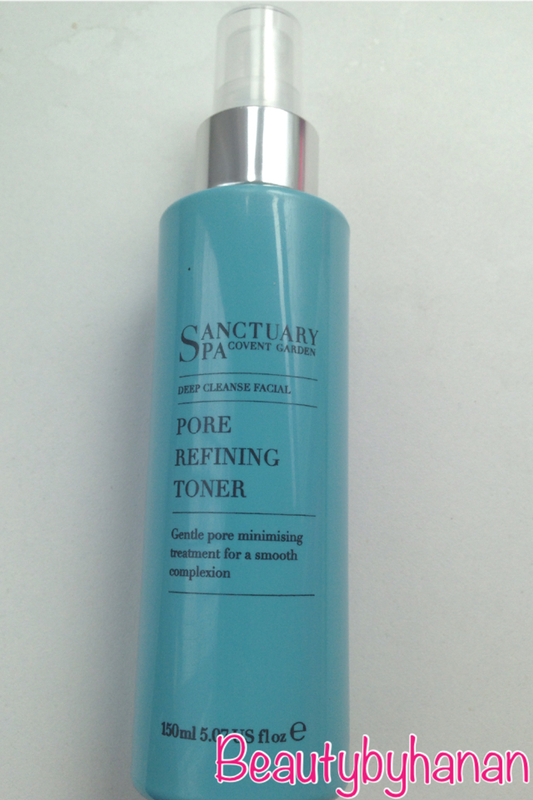 I've had this product for 3 weeks now and there is still lots of product in the bottle, I squeeze a small 2 pence amount into the palm of my hands and I lather it up with water then wash my face. I use it everyday AM and PM, PM as I wear make-up everyday and AM to wash off any sweat or dirt I may have picked up from my pillow in my sleep. 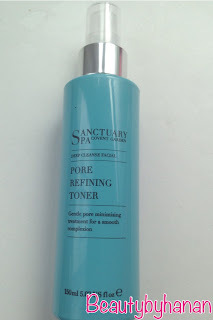 I follow it with the Pore refining toner, again from the same line (Deep cleanse facial) I tend to spritz it over my face (with my eyes closed or it stings) and neck, then I sweep a cotton pad over my face, this helps remove any cleansing product left over and the witch hazel in the toner helps avoid blemishes. Lastly I use a moisturiser by Estee Lauder Day wear Plus, to me it is just an all round good egg with Multi protection anti oxidants. It only has an SPF 15 but I tend to top my sun screen up during the day with a higher factor. 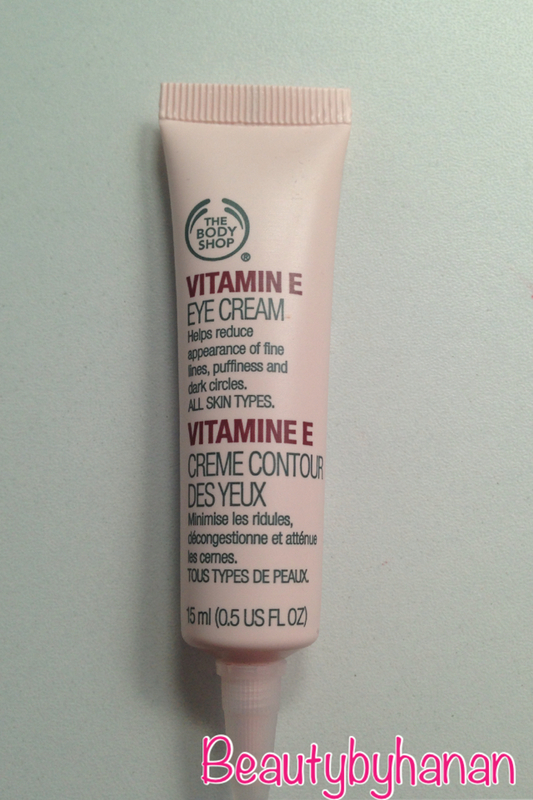 It feels rich and creamy and feels as though it is actually doing something for my skin. I apply this avoiding my eye area in a sweeping upward motion. My eye creams vary (much like my skin care to be honest), however I am currently using Vitamin E eye cream by The Body Shop. I apply it with my ring finger as it has the least pressure so won't damage my delicate eye area. I dab it all around the eye socket in a gentle (but firm) motion (but no dragging) helping drain the lymph nodes around my eyes. There you have it cleanse, tone and moisturise is your priority anything in between is an added benefit such as steaming, exfoliating and masks which I'd recommend once a week. Massage is great for blood circulation it softens expression-induced lines around mouth and forehead. In conjunction with this I use the Clinique night mask as it makes the massager move smoothly over the face. It is a hydrating face mask that you sleep in and wash off in the morning. My skin feels really supple and fresh in the morning. There you have it thats my facial routine and what I am currently using. 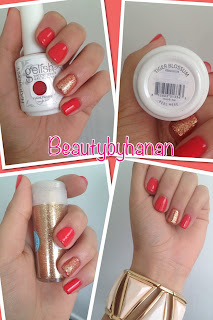 This will be my last post for today I hope (Blogging is sooo addictive... nobody warned me). 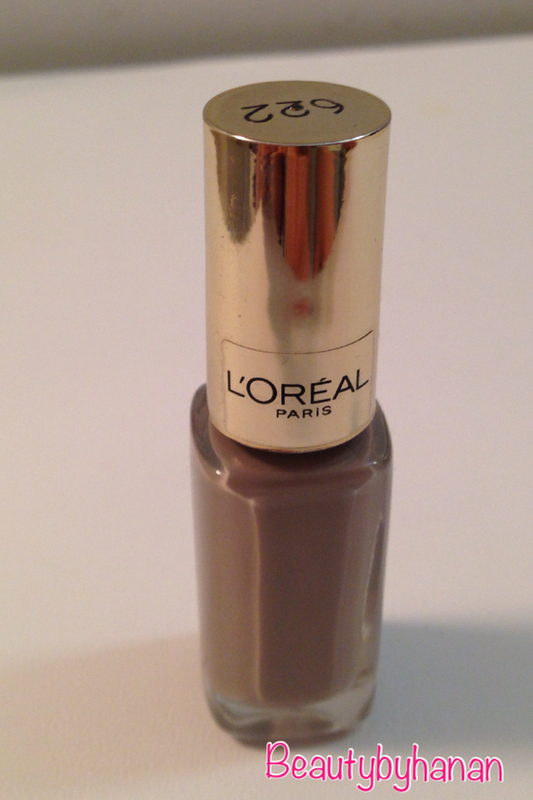 I just quickly wanted to share with you this lipstick that i got from NYX Cosmetics. I love this brand at the momemt their make-up is really pigmented and for the money its truly a steal!! Whats your favourite matte red lippy? I hope you all have a restful weekend, stay tuned! Today I wanted to post a make-up I have done on my friend before. 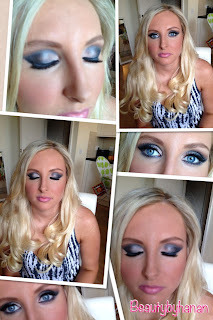 Usually when I do Make-up on someone I see them as a blank canvas and for me to 'paint' a beautiful portrait......sooooo we discussed colours and what she wanted.. she was wearing a stunning grey dress (she hasnt got the dress on in the pic :)), so it was only natural we chose a heavy Grey Smokey eye seeing as she was going out partying!! Under the lower lash line I ran a line of Urban Decay Naked palette Gunmetal using a brush then stuck some fale lashes on top and TaDa all done! 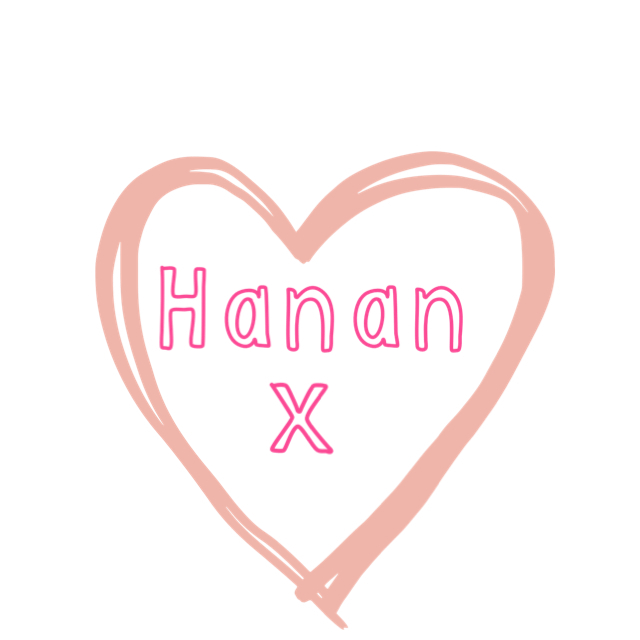 I hope you enjoyed reading this as much as I enjoyed writing it. If there are any particular looks you might like to see... please get in touch. Stay Tuned!